Here are some messages from the All Right? 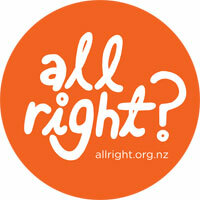 campaign after the distressing and shocking events in Christchurch last week. Children take their cues of parents — so if you’re okay, they’ll be okay too. Keep children away from the media. Answer their questions pretty matter of factly and in very ‘general’ terms. Drama it down. You don’t have to get the answers exactly right here. Ensure you talk too about the police and how they did a really good job of keeping us safe. Keep the reassurance low key too — over-reassuring can make us think we need to be worrying more than we are! Let them talk about it, but don’t let it ‘take over’ – use distraction to keep their mind off it – we’ve got the board games out! Stick to your normal routines as much as you can. Try and keep them off or away from the social media as much as you can, but it’s okay if they need to have it on tap right now – it can be a great way for them to be checking in with friends and supporting each other. Let them know there’s a lot of hype out there. Say that you’re sticking with credible sources of information as they report only the things released by the police and people actually ‘in the know’. If they are really affected by this ‘hype’ tell them it’s time to put the phone down or away. Keep the reassurance low key too. Traumatic events affect each of us differently, and we all need a bit of support from time-to-time. There is free help available if you or someone you know is struggling. Free call or text 1737 any time, 24 hours a day. You can also call Lifeline on 0800 543354 or text HELP to 4357. The Ministry of Health website also has resources to assist those experiencing mental distress. Sparklers has wellbeing activities promote kindness, friendships and strengths in a classroom setting. The Sparklers website also has activities that focus on understanding emotions and managing worries. Source: All Right campaign messages (16th March 2019) and Ministry of Health media release (17th March 2019).